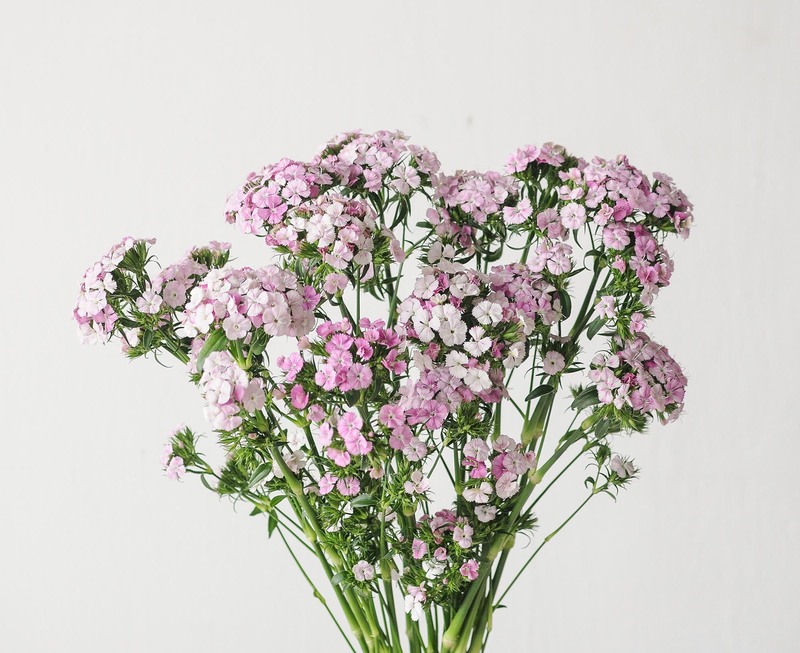 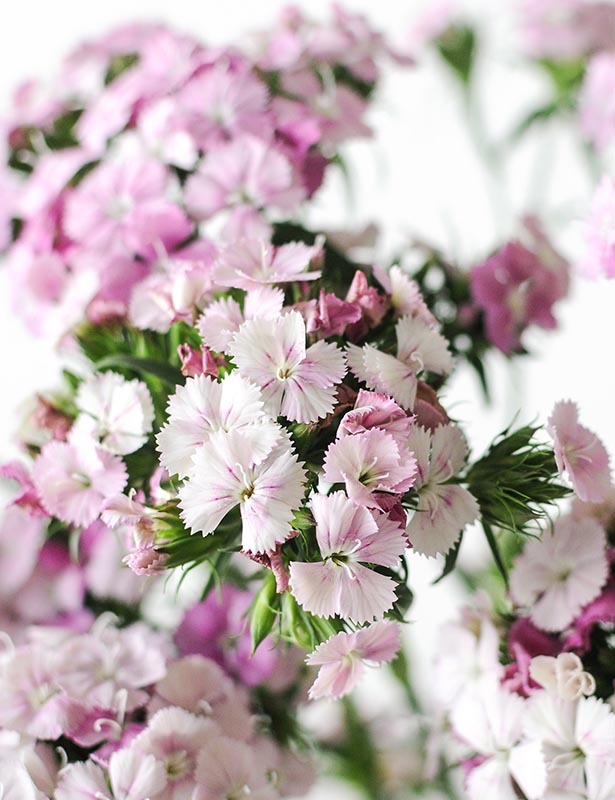 The sweet william is commonly available and a part of the carnation family, but this flower sets itself apart from the rest with its serrated flower edges and tall stature. 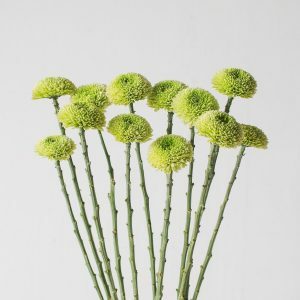 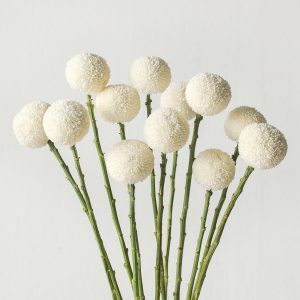 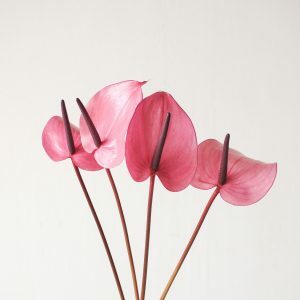 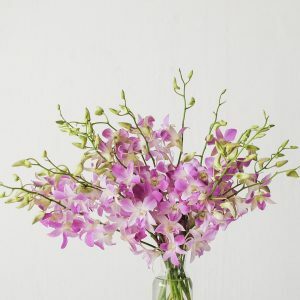 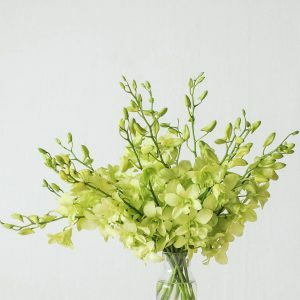 It grows easily to 35cm to 70cm in height and with a large variety of colours, is extremely popular for use in a bouquet. 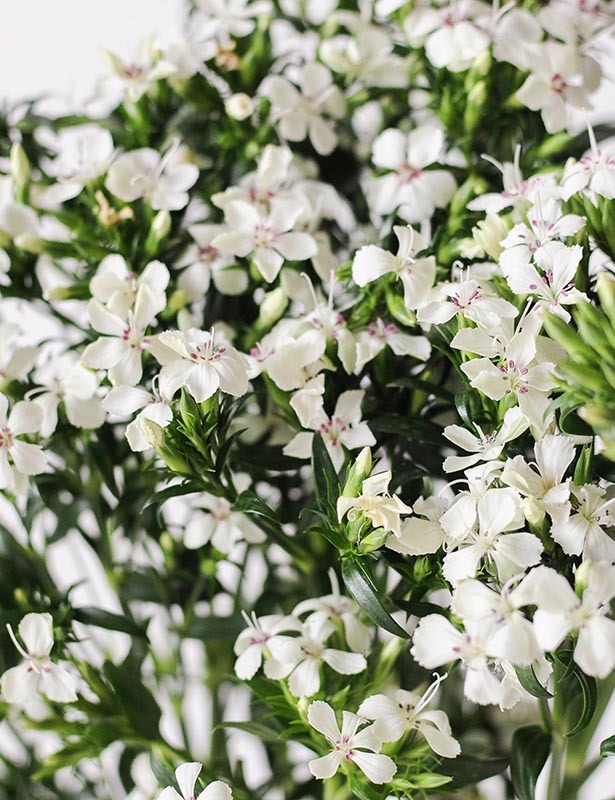 In spite of this, interestingly it is only the red and white colours that are found in the wild. 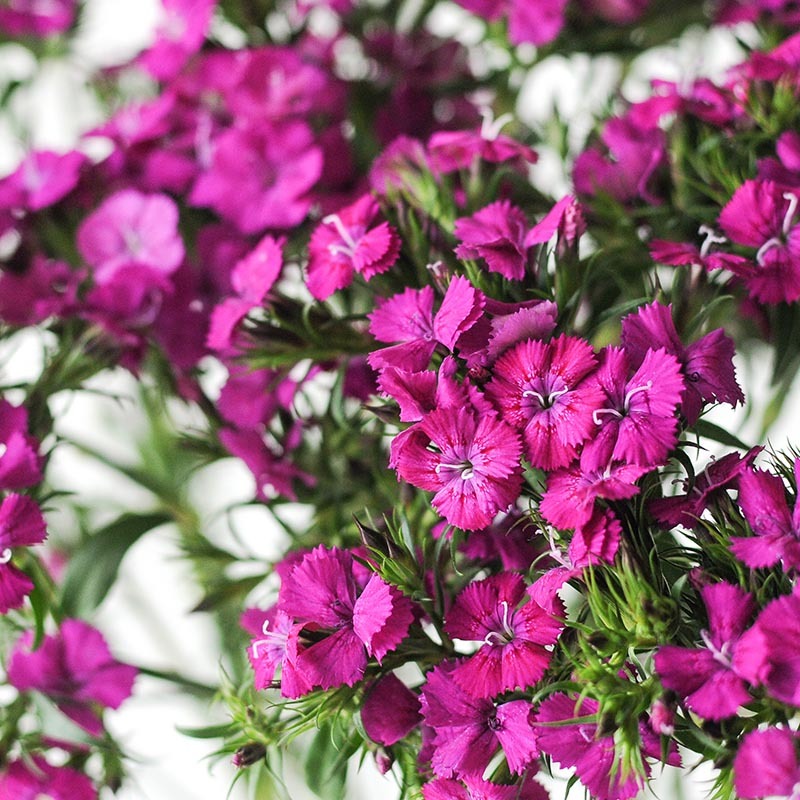 Grown mostly in gardens as an ornamental flowering plant, the sweet william symbolises gallantry and masculinity. 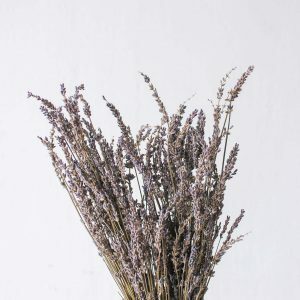 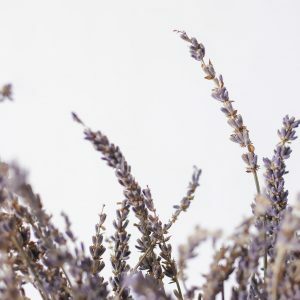 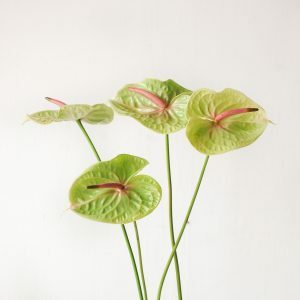 Change water and snip a little of the stalks daily to keep it well hydrated and this flower can last you up till 2 weeks. 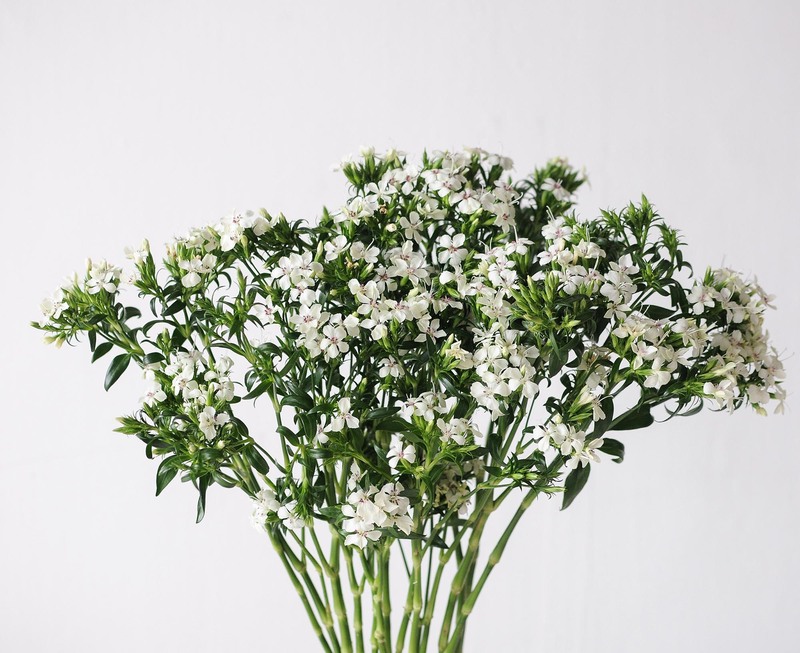 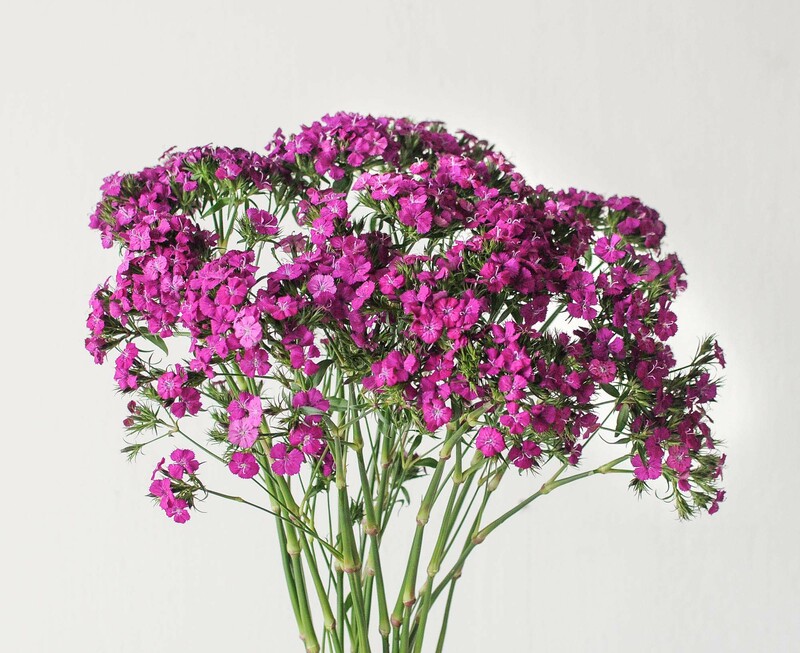 The sweet william is a tall-stemmed variety, ideal for entrance tables, console tables and bar top centrepieces.